DISCONTINUED. 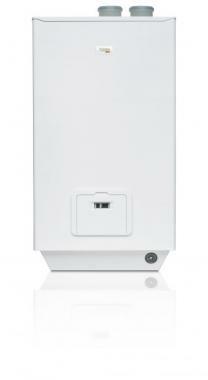 The Verve i50 is a wall mounted system gas boiler by Vokera. This condensing boiler is perfect for those houses that need a powerful and flexible boiler. This model is reliable, with it having an high output of 44kW, with an equally high efficiency rating of 90% - making it an A rated boiler. This boiler is ideal for the larger domestic homes that have higher demand for heating. This boiler is a high power system for large homes. It is user friendly with and easy to operate. It comes with 2 years warranty, so you can be sure that you have a reliable boiler.